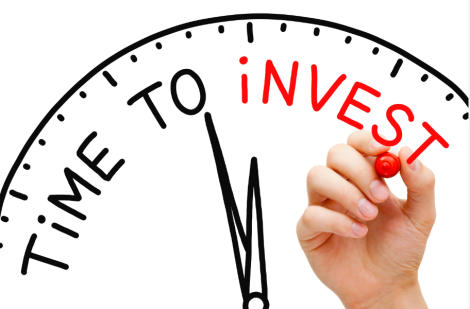 For a lot of people, investing is one of the best ways to generate a consistent and attractive income, particularly if you have financial goals in mind that you hope to meet. When done properly, investing can help you achieve financial stability that lasts way into retirement, which is why it’s often best to start while you’re young. Find out why your twenties are a good time to invest, and the best way to do so. So what type of ways could you start investing? One of the most popular investment types among young people is buy to let property investment. For a long time, the property market was dominated by an older demographic of around 40 to 49-year-olds, and while people of this age range still make up the largest share of buy to let mortgages, there’s been a shift in recent years. Since 2015, research shows a year-on-year rise in the amount of buy to let mortgage applications from those in the age range of 20 – 29 and 30 – 39. Property investment might seem out of reach for a lot of twenty somethings, but the reality is that investing in property can be a lot less pricey than you’d think. Property companies like RW Invest offer the chance to invest in properties for less than £100,000, some of which can be as low as £55,000 – £59,000. Young people that are earning a high enough income to invest this kind of money will benefit from strong rental returns, especially in UK buy to let hotspots like Liverpool. Those in their twenties that don’t have the financial means to invest in property outright should look into a buy to let mortgage. This works in the same way as a regular mortgage, but there are some limitations on who can and who can’t qualify for one. You need to have a good credit record, earn £25,000 or more a year, and you need to own your own home alongside wanting to buy a rental property. So what makes your twenties such a good time to consider property investment? For one thing, time is on your side the sooner you make the investment. If you invest in a property in your twenties, by the time you’re 60 the property could have increased in value massively, putting lots of potential money in your pocket. If you’re hoping to invest in property with lots of potential for capital appreciation behind it, look at investing in cities like Liverpool and Manchester, where economic growth and regeneration suggests strong capital growth is on the horizon. Another benefit of investing in property at this age is the fact that young people can afford to take more risks, with years of earning ahead of them and often fewer responsibilities to worry about. Those who begin investing in buy to let property often find that they enjoy the process and the perks so much that they build a property portfolio and become a full-time landlord. Young people who don’t know which career path they want to take could benefit from the flexibility and financial gains that buy to let can provide, choosing this as their full-time career. All in all, twenty something’s that are thinking about boosting their income, saving for their future, and possibly finding a new career, should definitely consider property investment as a promising and fulfilling venture.